The call happened just two days before Christmas. It wasn’t the most ideal timing for a fundraising pitch, but time wasn’t something that Glen Chown had to spare. Chown, GTRLC’s executive director, needed to see if longtime conservationist John Woollam would provide a substantial lead gift to help save a former Boy Scout camp in central Kalkaska County. The need was pressing, as the Boy Scouts had several other offers on the picturesque 1,288-acre parcel. What’s more, the Scouts were clear about their desire to sell the property as soon as possible. The conservation values of the former Camp Tapico spoke for themselves. More than a mile of frontage on the north branch of the Manistee River. Multiple types of wetland habitat. 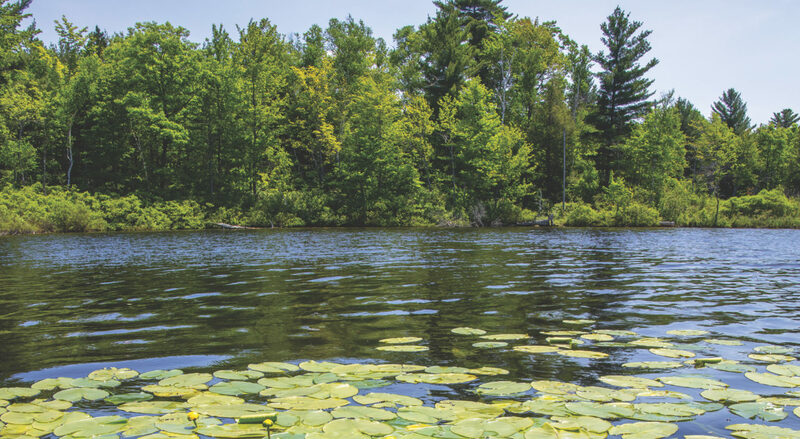 An entire 130-acre lake that’s devoid of aquatic invasive species – can you even believe it? 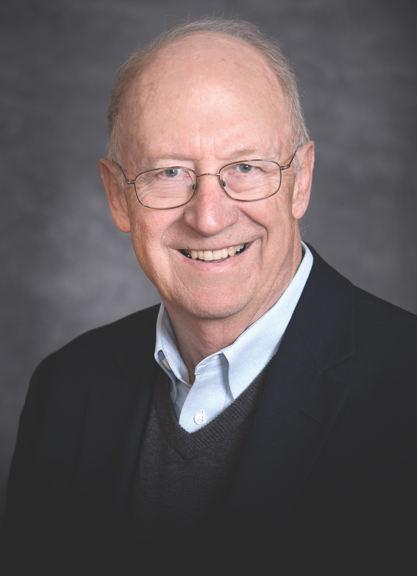 Woollam, a Michigan-born physicist who lives and works in Nebraska, has been involved in dozens of major conservation efforts across the country both personally and through his J.A. Woollam Foundation. His support has helped save majestic redwoods in California and critical bird habitat on the Great Plains prairies, but he’s shown a particular passion for Michigan and the Great Lakes. He’s provided significant support to several Michigan land trusts, and for GTRLC played a major role in the effort to protect critical shoreline during the Coastal Campaign. In many situations, Woollam had a chance to see these places in person before committing money. Due to various constraints, this was not one of those times. But Chown had effectively conveyed Tapico’s critical conservation values, along with the fact that time to save this property was indeed running out. Woollam had heard enough. Woollam’s major commitment allowed GTRLC to make a down payment on the $2.6 million property in the final week of 2016, buying time to figure out financing for the rest of the deal. The plan to turn Camp Tapico into the Upper Manistee Headwaters Preserve – a centerpiece project of the Campaign for Generations – was off to a solid start. Woollam was glad to be able to help out – and glad there’s an organization like GTRLC that works hard to save the Grand Traverse region’s most special places. Many donors have enabled GTRLC to move quickly on land protection projects over the years. It’s uncommon that a seller is willing to wait the many months it takes for large fundraising campaigns, so these donors have saved countless properties from development. Like all of these philanthropists, Woollam is keenly aware of the time constraints that land trusts face in an increasingly fast-paced world. Once Woollam alleviated the immediate threat at Tapico, the Conservancy still needed a viable funding source for the rest of the purchase price, along with considerable stewardship needs. The next angels of the proposed Upper Manistee Headwaters Preserve arrived in the form of Richard and Diana Milock, noted philanthropists with an eye for conservation. Richard Milock, who retired to the area after a career in manufacturing downstate, first visited the property with Chown and GTRLC’s Director of Development Anthony Rupard on a snowy day in February 2017. Buried as it was under piles of snow, it was hard to appreciate the full scope of the property. But what Milock could see, combined with his own research on the land, both dazzled him and inspired him to get involved. Early conversations focused on the Milocks buying the land themselves and holding it for a period of time while GTRLC raised money. For a number of reasons, that concept shifted to the Milocks instead providing a loan to the Conservancy that would cover the remaining project cost. All the while, a sense of urgency surrounded the talks, as GTRLC was on a strict timetable to pay the Boy Scouts the remaining purchase cost. Richard and Diana both are glad they were able to play a part is saving such a special place. 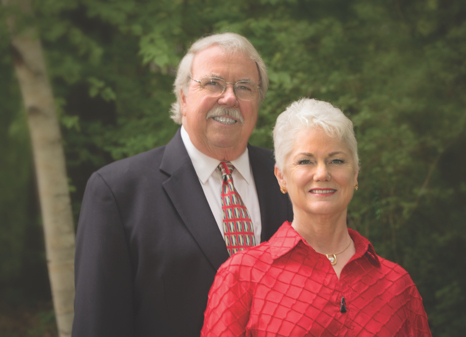 No story in GTRLC’s long history of moving fast would be complete without longtime supporters Don and Jerry Oleson. 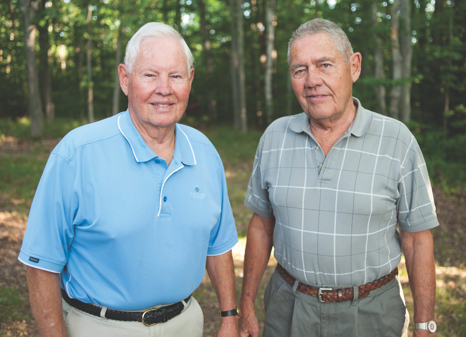 The brothers – whose father Gerald founded the Olesons Food Stores chain and the Oleson Foundation – have been instrumental in many Conservancy projects over the years. In many of those projects, GTRLC would not have been able to meet sellers’ deadlines without the Olesons’ support. It was the Olesons who bought and held the former Timbers Girl Scout camp on an interim basis while GTRLC worked to secure a Michigan Natural Resources Trust Fund Grant. They did the same for the land that became the Glacial Hills Pathway and Natural Area. More recently, during the Campaign for Generations, they provided a loan for the Conservancy to acquire the former Camp Maplehurst property while fundraising is ongoing. The list goes on and on. Like Woollam, the Olesons are fully aware that speed is of the essence in the land protection world. The level of support provided by the Oleson brothers doesn’t come without a great deal of trust and respect for GTRLC. The respect and gratitude goes both ways. Don and Jerry, who have lived and worked in the area all their lives, feel fortunate to be in a position to help keep the area beautiful by supporting GTRLC’s various preservation efforts.